One of the advantages of being an Influenster member is that you can try and test all kind of cool products and better yet, you can share your opinion about them, which is my favorite part. I am always happy and grateful when I get to be selected to test new Influenster boxes. 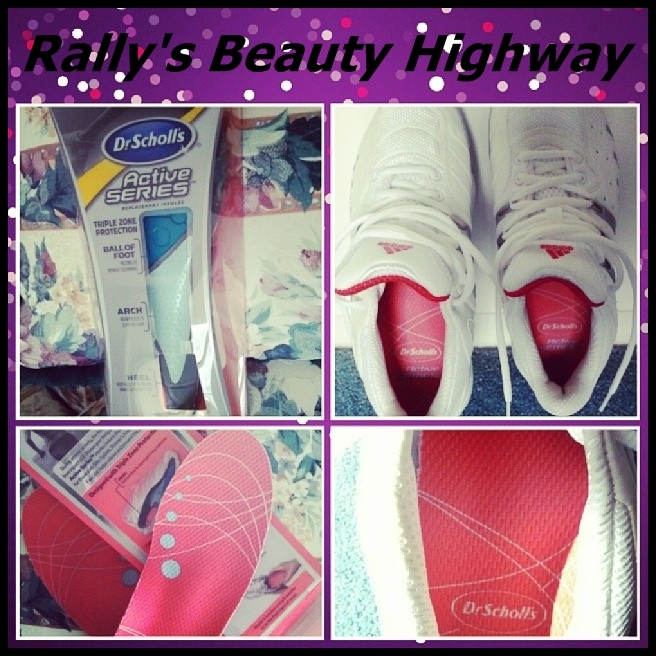 This time I was testing the new Dr. Scholl's Active Series insoles. Let me tell you that this is my first time when I am testing such an interesting product and I was curious to see how it will work in my case. I am trying to be an active person, to stay fit, to keep a healthy mind and body. Although my schedule is a crazy one, I like to exercise as much as I can. I always rely on my sports shoes, which I absolutely love. When I received my Active Series box from Influenster, I could not wait to try these insoles. ”During athletic activity, the foot is subject to the shock from impact (about 2-3 times your body weight with every step). Active Series insoles reduce shock by 40% and, for those with Shin Splints, Runner's Knee and Plantae Fasciitis, help relieve and prevent the pain. When I am exercising, to me it is very important to feel confortable. If I don't, I get discouraged and I am not continuing. I followed the box instructions and I put these insoles into my runing/ sports shoes. They fit perfectly. I tested them at home, during my exercising routine and also at a few zumba classes. At first, I had that impression that my shoe went up a little. Then, I had the feeling that something ”strange” is in my shoes. After a few hours of acommodation, my feet started to feel this product's real benefits: I felt my feet relaxed, I did not feel any pain in my shins like it used to be from time to time, my knees were happy (they use to give me some problems lately) and I could easily prolongue my exercise routine without any pain. Also, after a long excercise routine, when I took my sports shoes off, I did not feel any odor. That was quite impressive. Comparing to those times when I use to exercise without any insoles, I felt a real difference - less pain from exercising, more confort and ready to do exercise more. I really loved this product and I recommend it to every person who loves to exercise, this is something that will help you a lot.